Our dunking tanks have been delighting crowds for years. The concept of dunking the boss at the company picnic, or dunking the local "celebrity" at fundraiser events has become an American pastime. Rental comes with 4 balls. 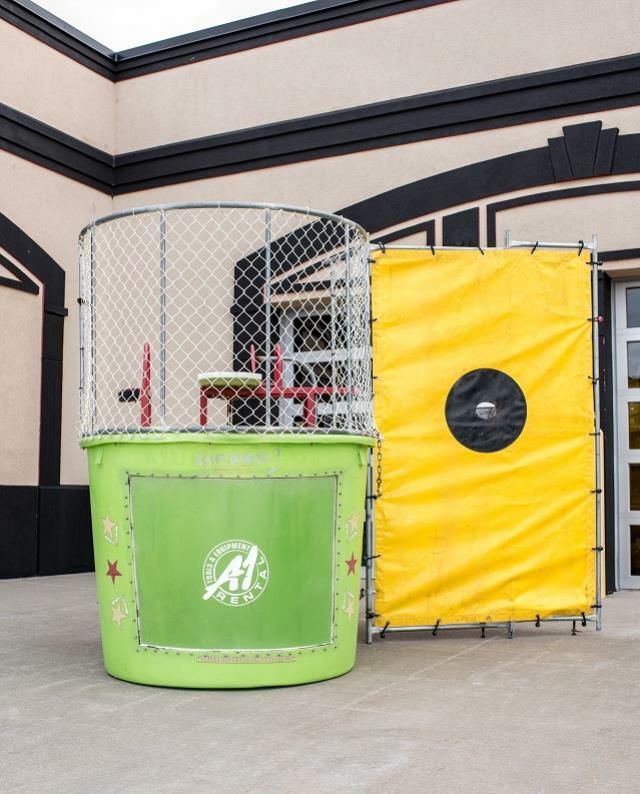 * Please call us with any questions about our dunk tank portable/towable rentals in Columbia and Jefferson City MO.